Anytime the church has the opportunity to sharing in the sacrament of Holy Baptism with a child in the church it is an opportunity for thanksgiving! Today I had the privilege of baptizing a beautiful little girl into the church as her parents shared in her baptismal vows and friends and relatives looked on. I got to introduce her to her new church family and give thanks for the grace of God that is poured out on her in baptism. For me it also was special for another reason. This was my first opportunity to perform a baptism since receiving my first appointment in the Iowa Conference of the United Methodist Church. If you’ve read my blog you would know that I had previously served as a pastor in the American Baptist denomination where immersion baptism of professing members is the normal practice. So you might wonder how it felt to baptize an infant for the first time. Well, it was a wonderful experience! It was a wonderful experience because infant baptism is such a powerful picture of God’s love and prevenient grace. In a Wesleyan understanding of baptism the sacrament is a gift from God and not an act of the candidate for baptism. God loves all of us, and like a helpless infant, we are unable to understand God’s love fully or at times to even respond to it. But God loves us simply because we are his children. In truth when we act like we can fully explain, comprehend, or describe God’s love we’ve forgotten that the salvation we have in Jesus Christ is from God who is beyond our full understanding. The purpose of baptism isn’t to understand or comprehend God’s love. The purpose of baptism is to receive God’s love and, when we are able, to accept it. It was also a wonderful experience because there is nothing quite like welcoming children into God’s house and sharing the joy that new parents have at the birth of a new and precious life. Jesus loved children and welcomed them into his presence and told us that they are a part of the Kingdom of God and that if we want to be a part of God’s kingdom we better be ready to accept God as a child. What that means to me is that we accept Christ with child like joy accepting God’s love even though God’s grace and love is sometimes beyond our understanding. This entry was posted in Baptism, Grace, Prevenient Grace, Sacraments on April 3, 2011 by Tim. 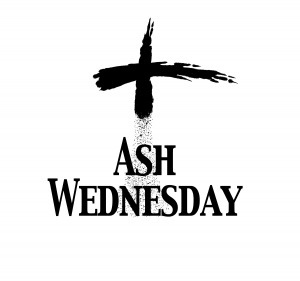 Today is Ash Wednesday the beginning of the Lenten Season. In many ways it is a season that is less popular and less enthusiastically observed than some of the more celebratory seasons of Advent, Christmas, and Easter. It is easy to talk about the birth of Jesus in a manger and it is easy to talk about the joy and victory of resurrection. But it is hard to talk about our need for cleansing, healing, and forgiveness. We want to talk about the empty tomb and not the agony of the cross. We want to talk about the revelation on the road to Emmaus and not the despair the Disciples felt after Jesus death. We want to talk about forgiveness without talking about repentance. Some people do not like Lent because they feel that it is about self pity or becoming maudlin about our sinfulness. But that is a parody of Lent. Lent is about recognizing our humaness, our fallen nature, and our deep abiding need for God in our lives. It is about remembering that we were not created to go it alone in this world. We were created to experience and express the loving mercy of God and share God’s love with the world. Ash Wednesday and Lent are part of our acknowledgement that the grace of God in our lives is indeed unmerited favor. God in is all powerful prevenient love and grace has cared about us and loved us even when we are our worst selves, even when we did not know or even denied that we needed God’s love. Today and tonight around the world millions of Christians will kneel and have ashes placed on our foreheads as a reminding that from dust we have come and to dust we shall return. We are created beings created in the image of God and our very life, our very existence, the very breath we breath is an unmerited gift of God. And that is one of the messages of Lent. It is all grace! It is all unmerited favor! And it is all a gift! We celebrate this Holy Lent not because we deserve anything from God but because, thanks be to God, he has given us all things! May you have a blessed Lenten Season and may you experience the grace and mercy of Jesus Christ in your lives in these forty days. Thanks be to God! This entry was posted in Grace, Prevenient Grace and tagged Ash Wednesday, Lent on March 9, 2011 by Tim.